Exciting times in my Lord of the Rings rebuilding process continue with the Army of the Dead! 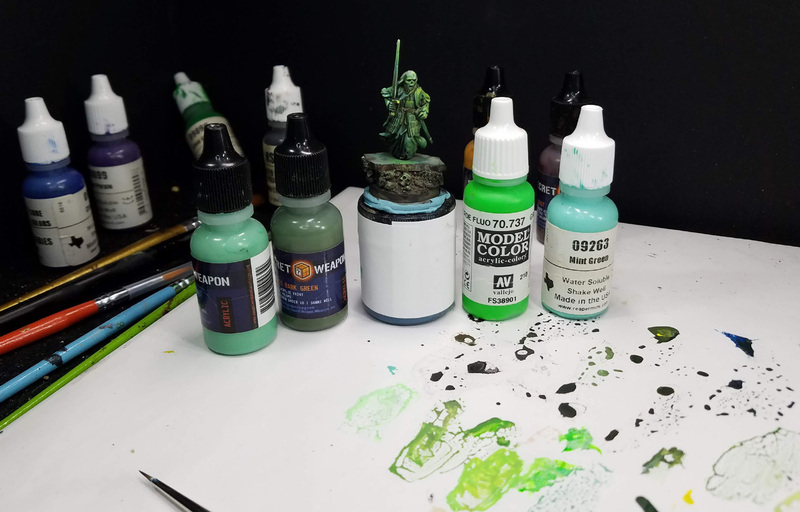 With the first episode of the Army Painter Series 5 (which focused on basing) completed, it was time to create the "Color test" figure. This is something that I do for each series, which is usually 5 episodes long. 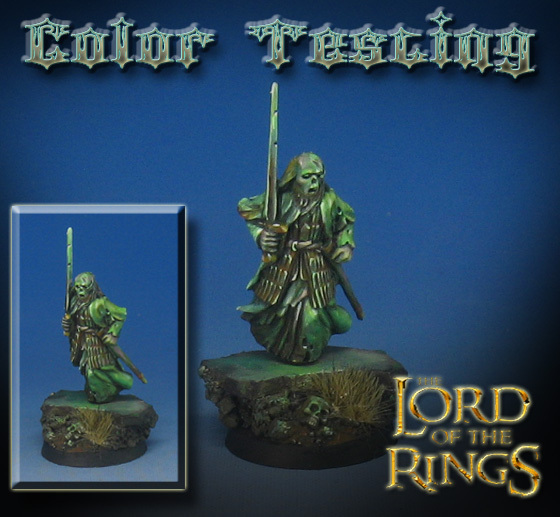 The idea behind a color test figure is not only to work out a color scheme for the unit or army, but to judge how long it might take to achieve a certain effect or look. Since we all have a limited time to work on our own armies, that "currency of time" is all important, and has to be spent wisely. As you work on that color test figure, you can figure out what you might be able to leave out, or a better way to go about an effect which might be more elaborate. When you get into things such as Non Metallic Metals like my previous series on the Lannister Halberds and the Sky Earth Non Metallic Metal effect, time will have to be conserved in other areas. In the case of this Army of the Dead, the time will be spent getting the glowing ethereal effect using the Vallejo fluorescent paints. While I am creating new armies for use in battle report videos in the future, my goal along the way is to find new ideas and concepts to demonstrate with each series. 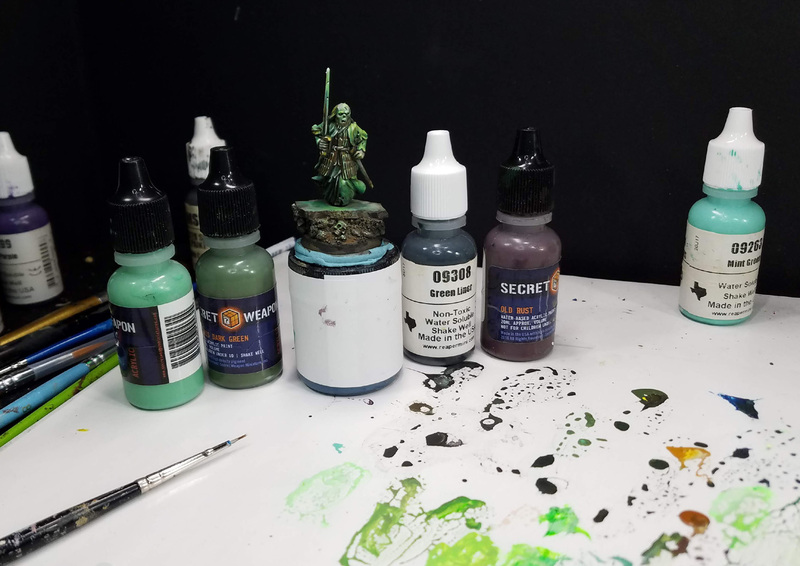 Some feature oils, others more complex basing, Object Source lighting, freehand, and so on. I also try to build on previous series, and this one ties into Series One, where I used a similar greenish glow on the bases and on one of the figures in the set. 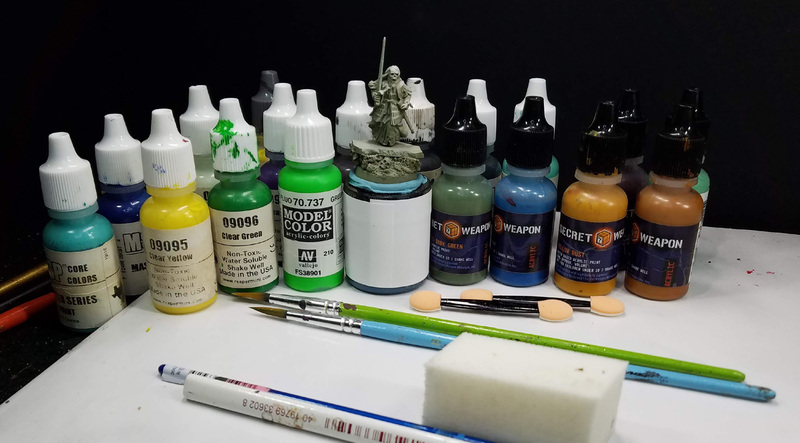 Now that I have the color test episode loading to the Patreon Page, I will move on to the next 3 episodes, where I take you through the Shaded Basecoat stage, middletones and weathering, and the final highlights. These "Army Painting" series have been available to my Patrons at a $15 pledge level. Between these and other related videos done each month, that means about 18-24 hours of video content every month! 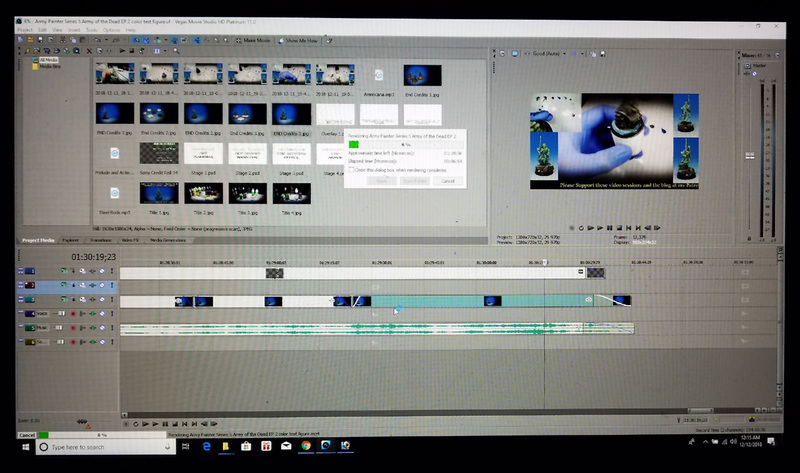 Once filming ends, several more tasks begin as I have to transfer photos and video segments to another machine to create title screens and overlays. After creating those, I can edit and render the video. This is a process that takes several hours, and it is something that is done many times each month. The Army Painter series alone have compiled over 20 episodes!! As you can imagine, that is a lot of effort, which is why I have the Patreon page.